More than three years after the inception of the immensely ambitious plan to transit the Northwest Passage, Crystal Cruises’ luxury cruise ship Crystal Serenity has completed the epic undertaking, arriving in New York City this morning. 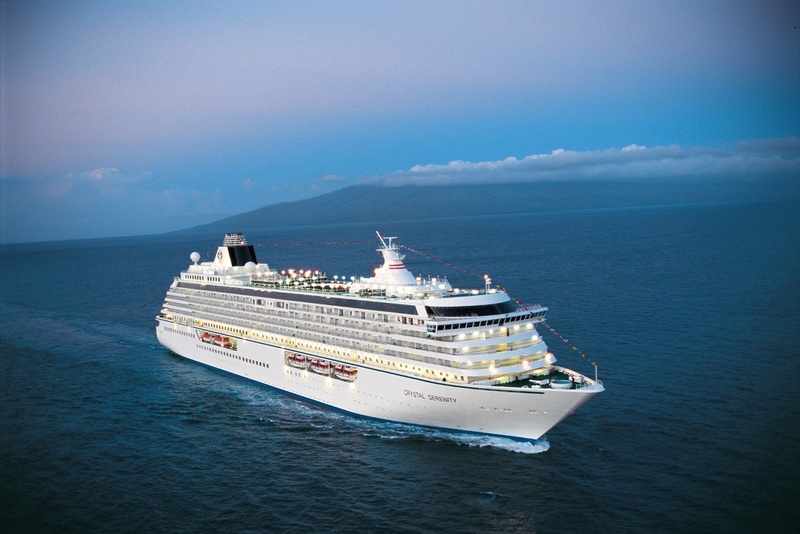 The successful voyage marks the first of its kind made by a large luxury cruise ship. For 32 days and 7,297 nautical miles, more than 1,000 guests and 600 crew members witnessed the remote Arctic waterways and terrain that was inaccessible just over 100 years ago. The award-winning vessel was captained by Master Birger J. Vorland, who enters an exclusive club of maritime explorers to successfully lead a vessel through the Northwest Passage, and joins Norwegian-born sailors Roald Amundsen and Henry A. Larsen on achieving the professional milestone. During the northernmost portion of the journey, Crystal Serenity was escorted by the RRS Ernest Shackleton. In addition to being fully equipped as a first response vessel for virtually any emergency situation, the RRS Shackleton provided ice breaking capabilities, two helicopters for special adventures and additional expert expedition crew. The rugged journey was somewhat of a departure from Crystal’s famous luxury ocean cruises, as adventures ashore were centred on the remote and sparse terrain of the region. “Wet” zodiac landings, icy hikes and intrepid treks were enhanced by the extensive knowledge of the local Inuit guides and the onboard expedition teams. Community visits in Canada’s Northwest Territories offered invaluable connections and insights into the local cultures. In Ulukhaktok, a troop of young local dancers boarded the ship to perform their traditional interpretive dances, fully outfitted in handmade costume. Travellers reflected on the history of the fateful Franklin Expedition during a visit to Beechey Island, while a call to Pond Inlet brought Captain Vorland and the town’s mayor together for a mutual exchange of gifts of appreciation. In its continuing spirit of goodwill and connecting intimately with communities worldwide, Crystal extended its support to the local Inuit villages during visits on the Northwest Passage voyage. Crystal donated school supplies, hired local guides to assist in tours, hosted “community visits” which allowed local communities to sell arts & crafts and made charitable monetary donations that collectively represented more than $200,000 (CAD) in direct and indirect benefits. Along the way, Crystal’s ‘Unexpected Adventures’ – introduced for this voyage – brought impromptu opportunities to encounter wildlife, including close-up greetings (from the safety of an expert-driven zodiac) with polar bears and numerous whale pods. A small group of adventurous guests embarked on an overnight Crystal Adventure to a Greenland Ice Camp, trekking through deep crevices in massive glaciers and sleeping under the stars on the frozen ground. The trip’s extreme expedition nature was punctuated by Crystal’s signature six-star luxury. Onboard, guests enjoyed real-time updates of wildlife sightings and other special happenings. Four sets of premium high-powered binoculars, as well as flat screens streaming from a cutting-edge Cineflex system were installed in deck 12’s forward Palm Court, ensuring guests always had the best possible views of their route. Dozens of acclaimed experts also joined the voyage to lend background and fascinating insights into various topics relevant to the journey. Naturalists, biologists, nature photographers and videographers, historians and professional adventurers all led captivating presentations that helped bring the profoundness of the voyage to life.